Technological pedagogical content knowledge TPACK refers to the knowledge set that teachers currently use to further improve the quality of their teaching and assist their students in learning. Several TPACK models have been proposed, either for discussing TPACK's possible composition or its practical applications. Considering that teachers' practical experiences should also be critical to the development of those teachers' knowledge, this study invited a research panel (six researchers) and an expert panel (54 science-related educators) to propose and validate the framework of TPACK-practical. After two rounds of anonymous communications that followed Delphi survey techniques, a total of eight dimensions of TPACK-practical and corresponding indicators were identified and rated as having high levels of importance. Among these knowledge dimensions, the knowledge of direct information and communication technology uses for enhancing teachers' professionalism and students' conceptual comprehension was rated with a high level of importance. Also, disciplinary differences were found to exist between the different groups of experts. Biology teachers showed significantly higher ratings across all knowledge dimensions, whereas physics teachers' ratings were comparatively low. Such findings suggest that the structure and content of subject matter shapes not only the way they teach with technology but also the thinking logics they build longitudinally from their learning experiences. Yeh, Y., Hsu, Y., Wu, H., Hwang, F. & Lin, T. (2014). Developing and validating technological pedagogical content knowledge-practical (TPACK-practical) through the Delphi survey technique. 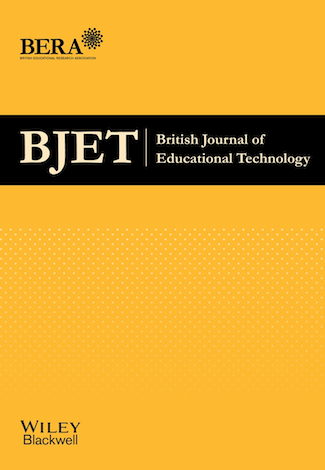 British Journal of Educational Technology, 45 (4), 707-722. Wiley. Retrieved April 22, 2019 from https://www.learntechlib.org/p/148366/.